The Taipei Fish Market (Chinese: 台北漁市; pinyin: Táiběi Yúshì) is a fish market in Zhongshan District, Taipei, Taiwan. The fish market was originally a traditional fish market. But in recent years, some parts of it have been developed into a more modern fish market by Mitsui Food and Beverage Enterprise Group. The market is accessible within walking distance North West from Zhongshan Junior High School Station of the Taipei Metro. Here's the our members favorite photos of "Markets near Zhongshan". 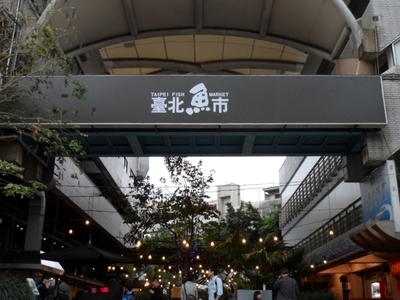 Upload your photo of Taipei Fish Market!